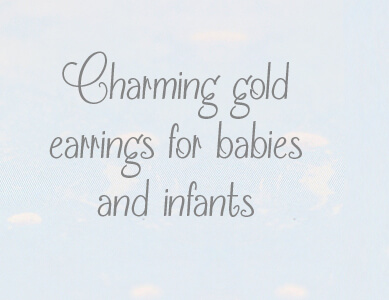 14kt gold earrings for babies, infants, and toddlers. 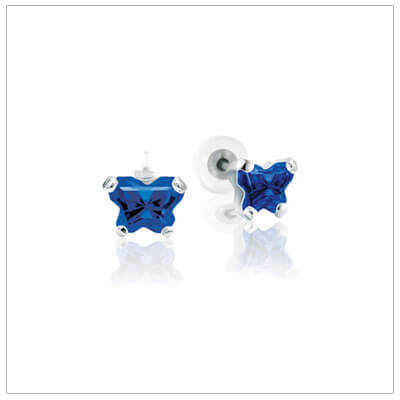 These screw back earrings protect the back of children's ears and prevent losing the earrings. Precious earrings for babies in 14kt yellow gold and 14kt white gold, plus 14kt rose gold earrings. Our children's gold earrings include birthstones, diamonds, and pearls in delightful designs. 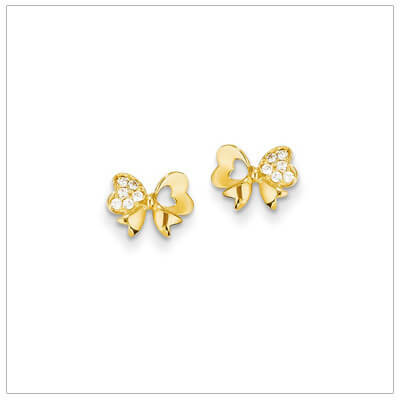 10kt gold kids earrings with butterfly shaped cz birthstones. Safety back earrings. Children's jewelry. 10kt white gold kids earrings with butterfly shaped cz birthstones. Safety back earrings. Children's jewelry. 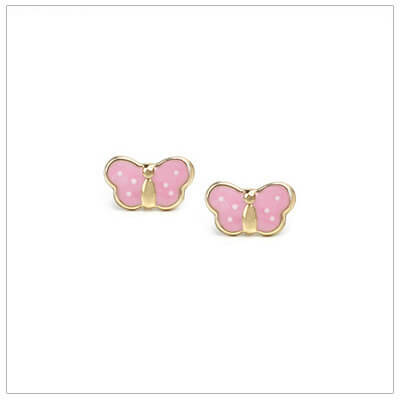 Precious tiny pink butterfly earrings for kids. 14kt pink butterflies with white polka dots; screw backs. Favorite! 14kt baby earrings shaped like a flower and set with cultured pearls. Screw back earrings. 4mm cultured pearl earrings for girls in 14kt white gold. Screw back earrings for baby, toddler, or child. 7- 7.5 mm cultured pearl ladies earrings in 14kt white gold. 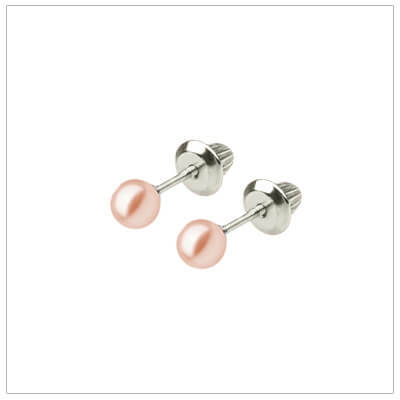 4mm pink pearl earrings for girls in 14kt white gold. Screw back earrings for baby and child. 7- 7.5 mm Akoya pearl ladies earrings in 14kt yellow gold. Classic 4mm cultured pearl earrings for girls in 14kt gold. Screw back earrings for baby or child. 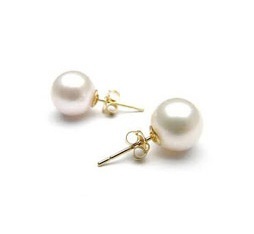 7- 7.5 mm cultured pearl ladies earrings in 14kt yellow gold. 4mm pink pearl earrings for babies and children in 14kt gold. Quality made screw back earrings. 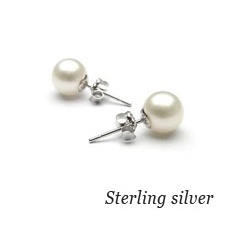 7- 7.5 mm cultured pearl ladies earrings in sterling silver. 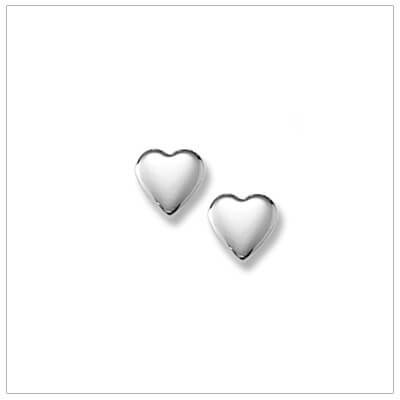 14kt white gold heart earrings for baby, toddler, or child. Classic baby earrings with screw backs. 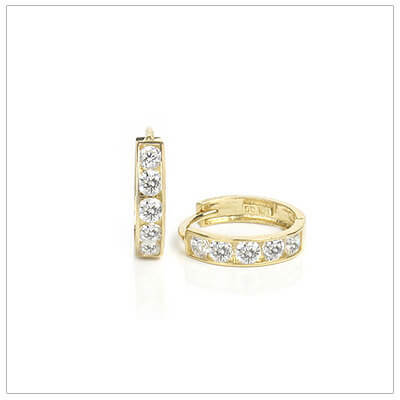 14kt gold huggie earrings set with sparkling clear cz. These huggies are in a small 10mm size. 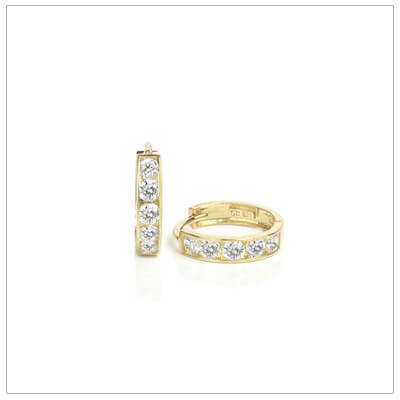 14kt gold huggie earrings set with sparkling clear cz. These huggies are a 12mm size, click closure. 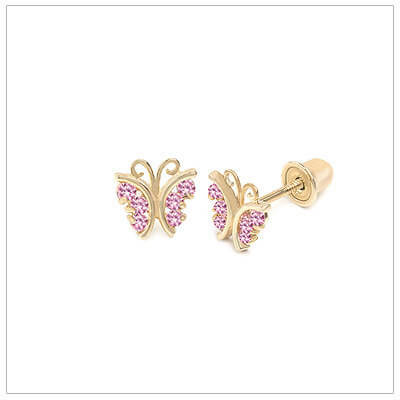 Dainty 14kt butterfly earrings set with pink cubic zirconia. 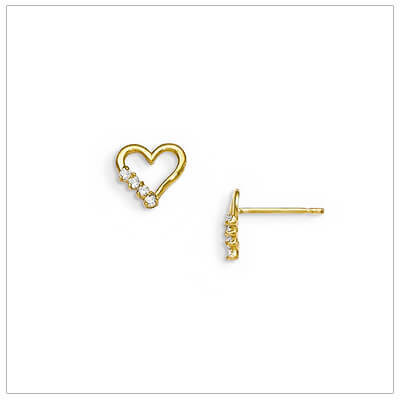 Gold screw back earrings for baby and child. 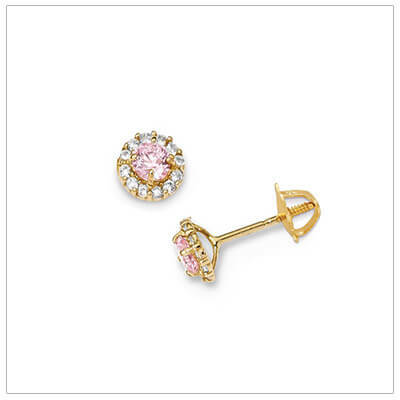 14kt gold earrings set with pink & clear cubic zirconia. Screw back earrings for baby and child. Dainty 14kt white gold butterfly earrings set with pink cz's. Screw back earrings for baby and child. 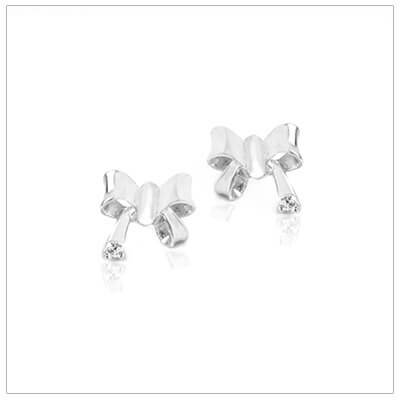 Dainty 14kt white gold bow earrings set with clear cz's. Screw back earrings for baby and child. 14kt gold bow earrings for children set with clear cubic zirconia. Adorable bows have a right & left side. 14kt gold open heart earrings set with clear cubic zirconia, 4 each. Earrings have a right & left side. New! 14kt rose gold ball baby earrings with 4mm balls. Screw back earrings for baby, toddler, child. 14kt white gold ball baby earrings with 4mm balls. Screw back earrings for baby, toddler, and child. Classic 14kt gold ball baby earrings with 4mm balls. Screw back earrings for baby, toddler, and child. 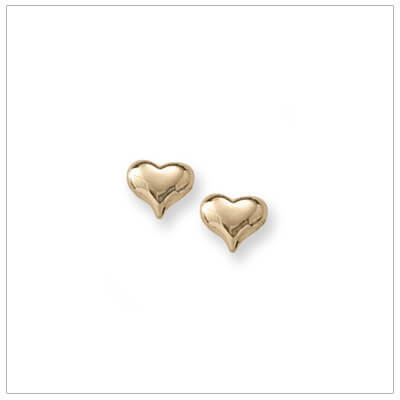 Puffed heart earrings in 14kt yellow gold for girls. Screw back earrings for baby, toddler, and child. 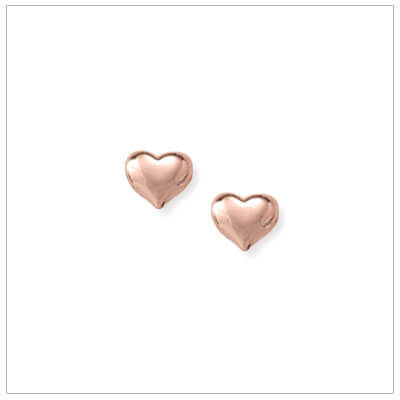 Beautiful rose gold earrings in a puffed heart shape. These earrings for girls have push-on backs. 14kt small Cross earrings for babies and young children. 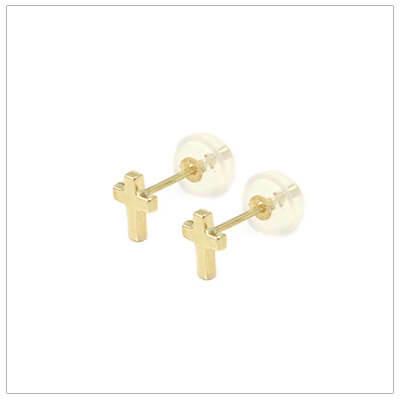 Cross earrings have push-on safety backs. 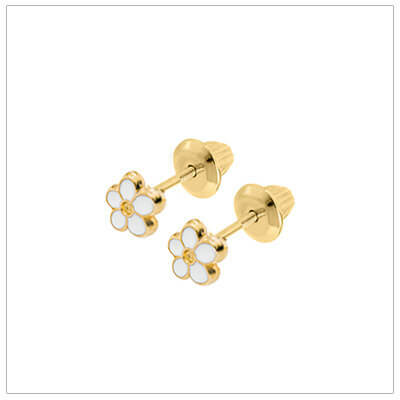 14kt gold baby earrings with a white daisy design. Screw back earrings for baby, infant, and child. 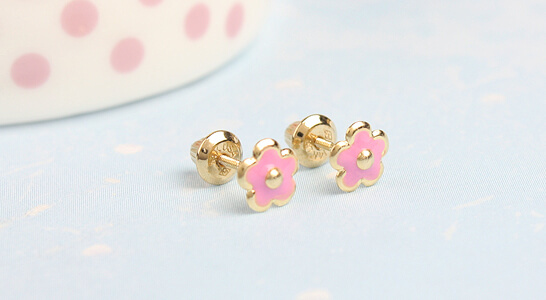 14kt yellow gold flower earrings for baby and child. Safety threaded screw back earrings. 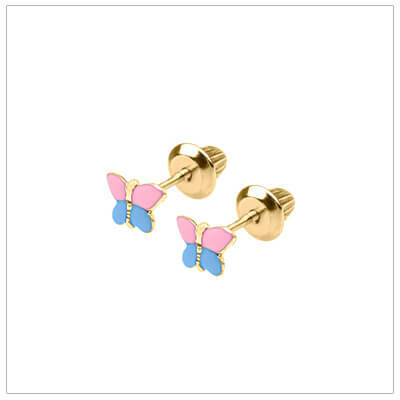 Darling butterfly earrings set on 14kt yellow gold. Pink and blue butterflies. Screw back earrings.